We are always ready to discuss the sale of your medical equipment - please contact us or telephone / email with details of your equipment and we will submit valuations, proposals and sale options which best suit your equipment and its location. Be assured we have specific Terms and Conditions of sale to ensure that vendors do not face liability in the sale of their medical assets. We will maximise the return to you and minimise any costs, such as removal; and where possible pass these on to the buyer. Working to maximise the value of your equipment we can conduct repairs, service or source components to ensure the best sale price and make it accessible to end users, who pay the highest prices. 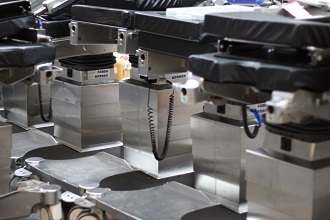 We have a wealth of market knowledge in specialist medical areas and can discuss the current market situation for your assets and any factors that will increase the value of equipment. 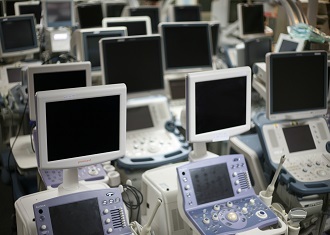 We provide a rapid medical equipment resale service and payment of funds; with transparency throughout the process. Building our reputation as the leading medical auctioneers and resellers in Europe, we have developed a number of sale options for different equipment to maximise the value and returns for vendors. These sale options are teamed with giving buyers as much information and assistance throughout the process as possible to maximise sale values. 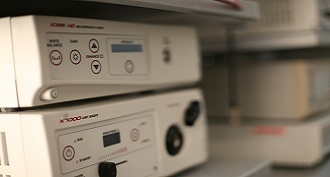 As the company responsible for developing the market for used medical devices in Europe and retaining overwhelming dominance of the market, Hilditch have a refined offering that ensures the best exposure to market with over 12,000 active medical buyers, a website with interactive bidding and a vast range of experience in the sale and remarketing of medical assets. We conduct ongoing marketing campaigns through all channels to existing buyers and identified prospects, to ensure maximum market exposure for your equipment. Sale via Auction, Private Treaty or Negotiated Sale with market valuations and reserves agreed where required. Guaranteed Return – we sell by the best route. Retail sale on behalf of our vendors with equipment warranty. Outright purchase of equipment where required, with our unique “Profit Share” offering with complete transparency. We have now launched The Dealing Room - a new concept in high-end sales of specialist equipment. A bespoke selling service to Private and Corporate clients. The Dealing Room offers high end sales direct to end users. Equipment offered will be refurbished, repaired and serviced if necessary to ensure the asset is most attractive and accessible to the market. Hilditch are brokers working on our customers’ behalf to maximise the price, rather than dealers looking to maximise company profits. This also allows corporate and private clients to purchase excellent quality used equipment from a reliable source. Hilditch offer low commission rates that mean the buyer is not paying for dealer profit; this means both the buyer and the seller benefit.